by Terry Pike 27th September 2017 27th September 2017 1 comment on The Best Army in Age of Sigmar Matched Play! Right now the best army in Age of Sigmar is… Disciples of Tzeentch! We explain why we think they are the most powerful army to play in the game right now. A combination of Destiny Dice, Horrors splitting and chaffing up multiple units, overwhelming mortal wound output and of course Skyfires, Tzeentch are sitting pretty at the top of the pile. After discussing what makes Tzeentch so powerful we move on to what we think the strongest army in Age of Sigmar is overall regardless of the current meta! 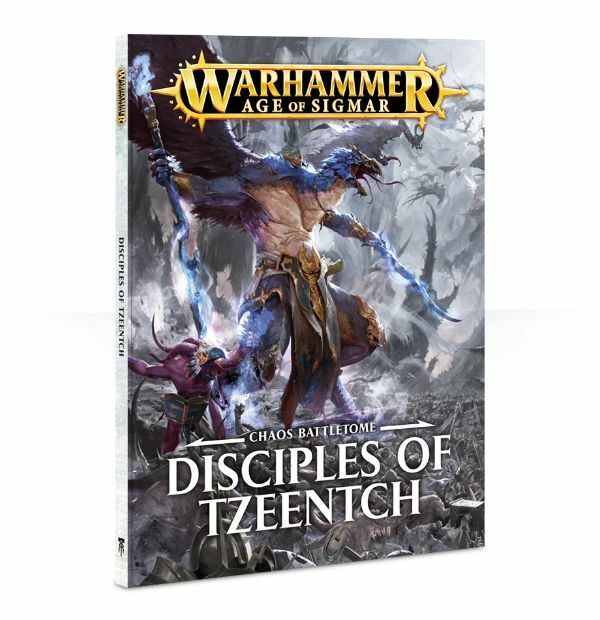 Pick up your copy of Disciples of Tzeentch today over at Element Games! Good episode, BUT! how can you say Tzeentch is AoS with training wheels and Stormcast isn’t when Stormcast are the intro army for new players and as such are more simple than the others including Tzeentch! The thing that makes this true is the amount of decisions an army gives you, this raised the skill ceiling as each decision requires player skill. Stormcast having most of their buffs as inherant and not placed by the player like you have to with a Tzeench spell means they require less skill! The fact that they can counter everything makes them less specialized and again makes them easier to play than a specialized army that you have to work around its weaknesses!